College freshman, Li Si Ying, inadverdently gets a part-time job at the famous cafe, Cafe.Waiting.Love, when she steps in to defend her senior at school, Ah Tuo, from some bullies. They develop a quick friendship, and he even gives her advice on how to win over the mysterious boy who visits the cafe daily. At Cafe.Waiting.Love, Si Ying meets a variety of people, including its lonely owner and cool barista, and learns that everybody is waiting for somebody in this world. So, who is the one that she’s been waiting for? Upon first glance, Cafe.Waiting.Love appears to be yet another sweet, albeit typical, Taiwanese youth film in a long list of many. But with a cast made up of mostly fresh faces and an overall unpretentious attitude, the movie manages to squeeze in surprises throughout that really tests the viewer’s suspension of disbelief. By simultaneously embodying and dispelling the spirit of Taiwanese films of similar style, the movie elevates itself above them. Rather than overwhelming the storyline and its audience with saccharine sentimentality, Cafe.Waiting.Love found the “cuteness factor” and appeal through its charming leads and a slight fantastic undertone to its story. Cafe.Waiting.Love is a ridiculously cute film; emphasis on both the ridiculous and cute. The story is far-fetched enough that you won’t ever be tricked into believing it’s plausible. But at the same time, there are realistic elements and moments to the absurdity that make you think twice before realizing that magical bowls of tofu pudding do not appear out of thin air. The big reveals at the conclusion of the film are not entirely unexpected, yet they are still pleasant surprises. Often times, the ridiculous and cute moments the story run parallel to each other and join together at the end. And although the film is not exactly branded as a fantasy, it definitely is. 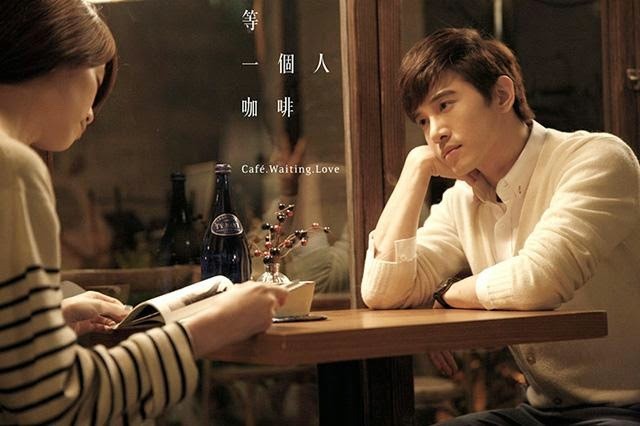 Much of the success of Cafe.Waiting.Love is, without a doubt, due to the chemistry between the two lead characters. Si Ying is the de facto main character since almost all of the story runs through her, but I’d argue that Ah Tuo is the more complex and interesting one. Their onscreen chemistry was undeniable great and fun, but I never quite felt that romantic quality of it. To me, it seemed like they were destined to becomes best friends rather than lovers. I never shipped them the way I do with other OTPs. Nevertheless, I very much enjoyed witnessing the adventures of Si Ying and Ah Tuo, and wouldn’t mind seeing more of them beyond this movie. Vivian Sung and Bruce Hung who play Si Ying and Ah Tuo, respectively, did a commendable job in their debut roles. Perhaps bolstered by their chemistry and real life friendship, their acting was quite natural. This movie and these roles aren’t exactly the most emotionally or mentally demanding, but they made their characters and story seem believable. Megan Lai received a lot of attention and “praise” for her role as the androgynous barista, Ah Busi, but I didn’t really get it. Sure, this is a departure from her usual girly princess roles, but meh. She got a haircut, big whoop. Vivian Chow, in a rare onscreen appearance, seemed a bit stiff and mechanical, but I guess that was the point of her character. But to be honest, I just wanted to see more of Si Ying and Ah Tuo. Cafe.Waiting.Love is such a cute and whimsical movie that I can picture myself rewatching it over and over again. Not because it’s life-changing or particularly meaningful, but simply for how quirky it is. Imagine sitting in your favorite cafe just people-watching for a few hours. That’s what this movie basically is. The characters are likeable, the story is fun and different enough; together they make for an extremely enjoyable film. So, brew yourself a nice cup of tea or coffee on a lazy weekend afternoon and enjoy the breezy experience that is Cafe.Waiting.Love. 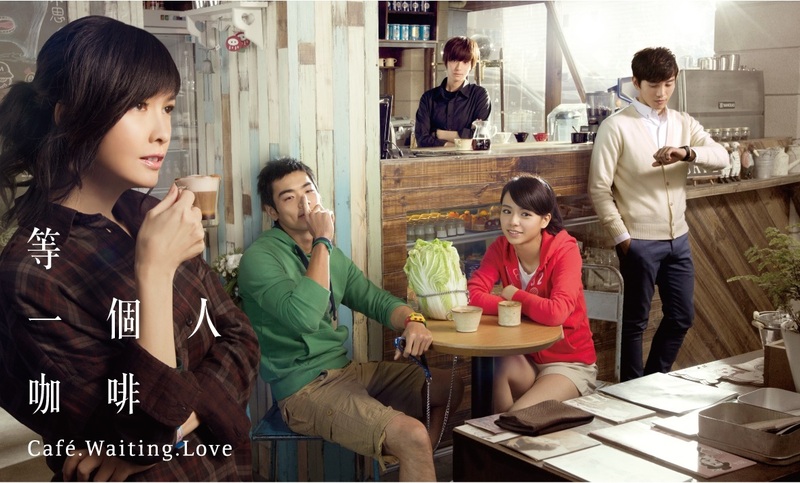 Cafe.Waiting.Love is based on the book written by Giddens Ko under the pen name, Jiu Ba Dao. The movie’s theme song, 缺口/Gap, is performed by Harlem Yu and was written by Giddens Ko. This is the second movie based on his books after his directorial debut of the popular 2011 Taiwanese film, You Are the Apple of My Eye, that starred Kai Ko and Michelle Chen. Angie Chai, one of the producers, is well-known for producing some of the most famous and beloved Taiwanese dramas, including: Meteor Garden, Mars & Devil Beside You. Vivian Sung starred in the popular 2015 Taiwanese film, Our Times, as the lead character, Lin Zhen Xin. Cafe. Waiting. Love was her acting debut. She recently starred in her first drama, Taste of Love, opposite Bryant Chang. Megan Lai cut her famously long hair to play the androgynous barista, Ah Bu Si, in this movie. The Taiwanese media compared her new look to that of famous Korean heartthrob, Lee Min Ho. Still sporting the short locks, she starred in the 2015 Taiwanese drama, Bromance, where she plays a girl posing as a boy. And if you ever wanted to visit the actual Cafe.Waiting.Love, the set that was originally built just for the movie was purchased afterwards and now operates as a legitimate cafe. Located in Taipei’s Wen Shan District, it’s definitely worth visiting if you’re a fan of the movie! I didn’t know the cafe was actually turned into a real cafe! I enjoyed the movie, just like you said, this movie felt like sitting in a cafe and people watching. It was adorably cute despite all the unrealistic elements. I just came back from Taipei and now I regret not visiting the set which was turned into a legitimate cafe.